Boho aka Bohemian, for me says relaxed and unique with a certain ‘je n’sais quois’ what does it say to you? I think this style is open to a wide interpretation. The word hippy usually comes into it… but I am not a hippy old or otherwise! The word hippy usually comes into it but I am not a hippy old or otherwise! 1.A native or inhabitant of Bohemia. 2.A socially unconventional person, especially one who is involved in the arts. 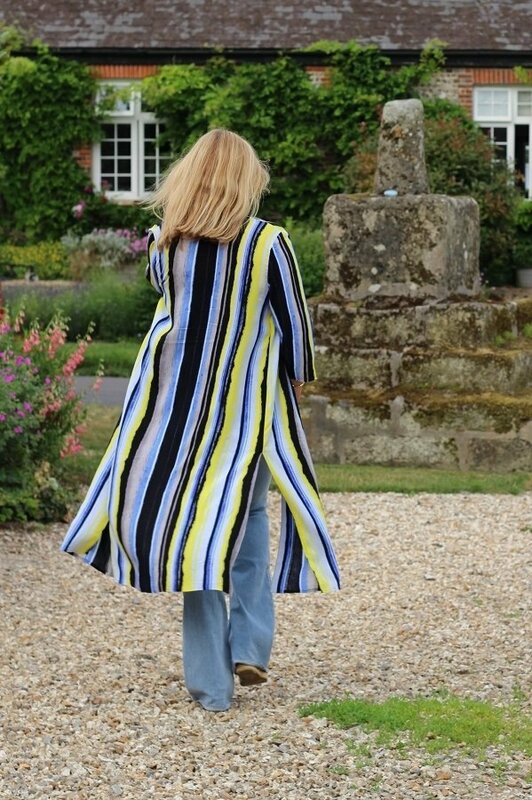 I define my own Boho style as comfy and casual, I want to keep cool when it’s warm and not be chilly when the sun goes down… This striped floaty kimono jacket is perfect for a breezy summer evening. More stylish than a cardi (in my opinion)and not as heavy or as constricting as a jacket. We love to go out for Sunday Supper, it means no cooking which in turn means no clearing up! We take the dogs sit outside and chat, drink and eat until the sun goes down, a heavenly way to end the weekend as I am sure you will agree? So where did I get my beautiful striped Kimono jacket? Doesn’t it look great thrown over jeans and a vest? Thats the other good thing you can wear a vest but not expose your arms if you dont want to. Anyway I digress as I know you are all dying to know where I got it?! Ok Bargain Price Alert coming up! Ok so how brilliant is that? Fabulous casual look…I love the striped kimono! Thanks for linking up! 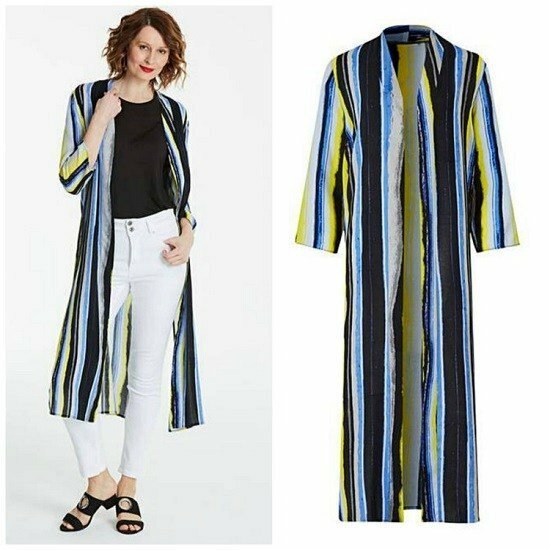 Love a good duster- and this striped one is so pretty! Brights are perfect for summer. And your flares! I love that this style is back- super fun to wear! 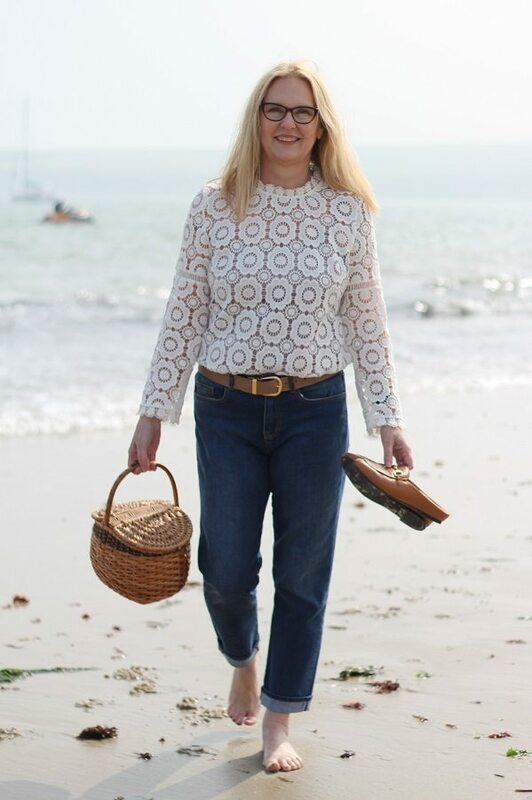 I too love a good flared jean, I love to wear them with high heels too in summer! Love it! Love stripes and I’m trying to find a perfect Kimono! The new template is pretty cool too! Thank you Nancy very comfy too! Absolutely Maria, and the best part is the creases drop out the minute you stand up! I wish there were more colours! bestest wishes to you and yours! Oh yes I definitely like the idea of wearing this over shorts! 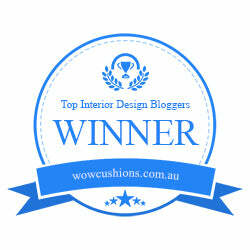 Thanks Michelle, the next time we go down to the coast the denim shorts are coming out to wear with it!